Thank you for all the nice comments about my Cocorico bee quilt! I hope to piece the backing today and get it basted but we will see. I have a sick kid home from school this week and have just cleared snow for the second time in 24 hours. Is it really the first day of spring? Hmph. 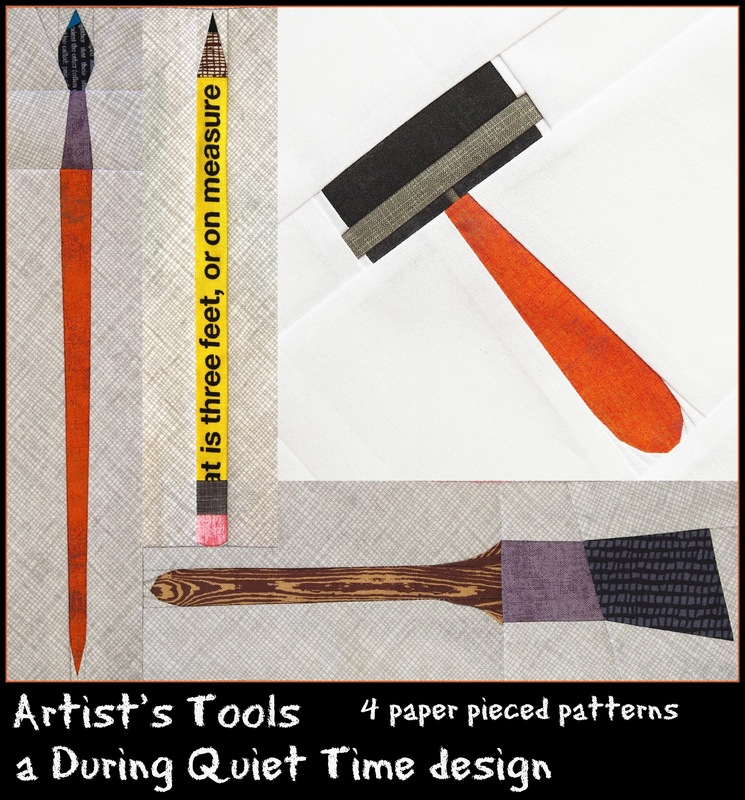 I had a few requests for patterns so I put together a set that I am calling Artist’s Tools. It includes four blocks: Artist’s Brush, Sash Brush, Pencil and Brayer. It’s in my Etsy shop and Craftsy shop. Remember if you order from the Craftsy shop, the pattern is an instant download but you must follow the directions on the Craftsy site to retrieve it. I do not email it to you directly. 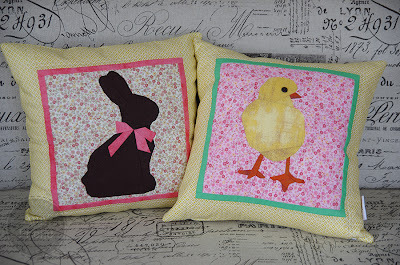 If you order from Etsy, you will receive an email from me with the pattern. This weekend, while at the BMQG retreat, I was able to turn my Chocolate Bunny and Spring Chicken blocks into cute springtime pillows. They make me smile.